Voice of an angel, body of trucker. No, not our breakfast presenter Ben, but Lloyd Grifith - who showcased a soul searching performance at the Exeter Phoenix last night (Sunday 3rd February 2019). 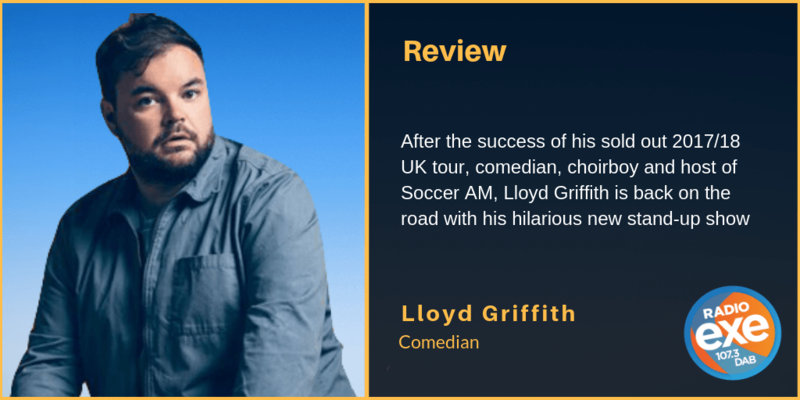 The comedian, choirboy and aspiring actor, most commonly known for hosting Sky One’s Soccer AM, returned to the city - where he spent four years as a university student - as part of his second UK tour (All-rounder). Following the huge success of his debut sold-out tour last year, including a visit to the Exeter Bike Shed in October, the 27-year-old took things to another level. 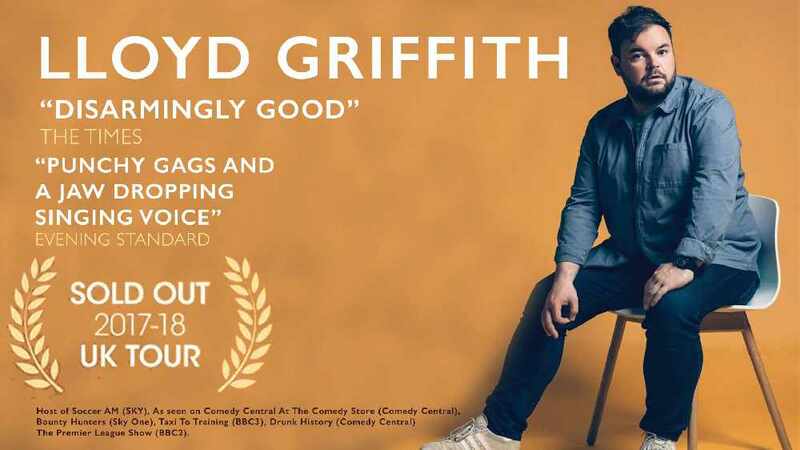 With new material, new jokes and new laughs, Griffith made the audience howl uncontrollably inside a joyous Exeter Phoenix. Within his performance, the man who labels himself as ‘the chubby bloke from Grimsby,’ shares his indistinguishable impressions, encyclopaedic knowledge about cathedrals and incredible, melodious choral singing talents. Lloyd adapted the show superbly making it feel local to the Exeter audience. Having spent the early years of his life in the city, he proudly talked about his adventures as a university student, singing as a choir boy at Exeter Cathedral and his dodgy experience with the city’s taxies! The opening part of the show, before the interval, was dominantly crowd interaction – which was simply fantastic. He bounced off the audience exquisitely. The second part of his show, without giving anything away, was as engaging as watching a five star rated movie. This man delivers a life story, with rib tickling laughs, from start to finish. He left the stage with every single member of the audience on their feet applauding. After his gig, which lasted around one hour, the comedian spared time to meet fans, take photos, and share a drink with them inside the Phoenix’s bar.